As an interior designer, and a girl who LOVES a good deal, I have always been a big fan of Wayfair.com. It is like one big "eye candy" store! So many different colors, styles & textures in every type of furniture and decor you can think of. The other day, Wayfair's managing editor, Catie Parrish, shared a post about the 4 Things To Consider Before Your Next Big Area Rug Purchase. 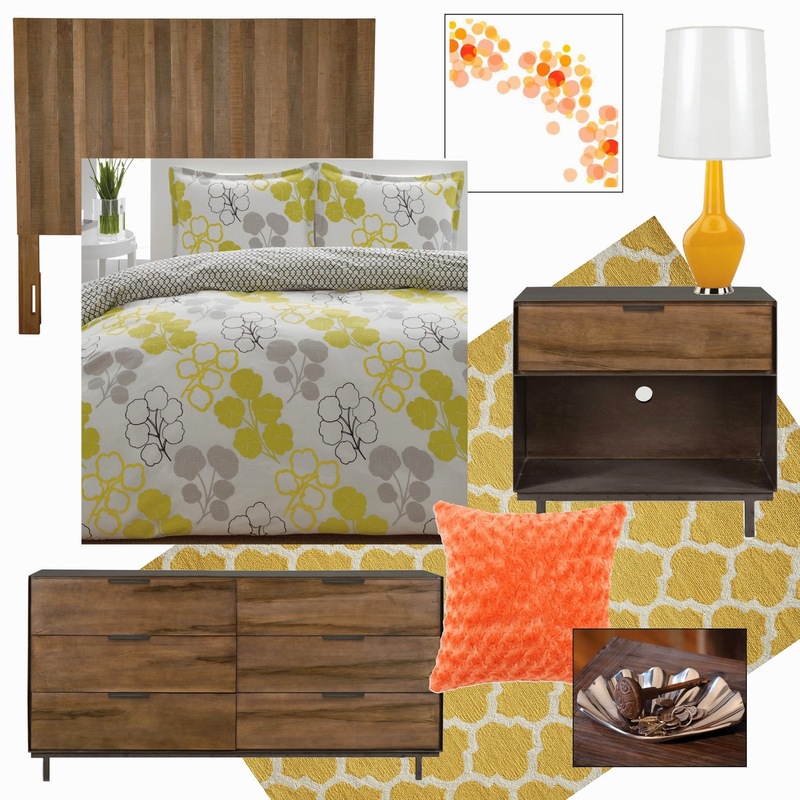 Just for fun I put together a concept board for our master bedroom (a room in my house that is in desperate need of a makeover). Yellow is one of my favorite colors and I am absolutely smitten with that area rug! I'm looking for a rug and end tables. I seriosuly want a new rug and they have so many amazing colors and patterns. Thank You so much. Great giveaway! I love that rug too! I would buy a tufted upholstered headboard. I love the tufted upholstered headboards. I absolutely love the dresser & nightstand. Thanks for the heads-up to your giveaway! I would love to get one of the outdoor clocks. Ours has died and there are some gorgeous ones at Wayfair. I would possible buy a cookware set. We still use the one we got for our wedding 32 years ago! I have been wanting a card catalog FOREVER. It is a) the perfect way to store all my sewing notions and supplies and keep them organized, and b) um, its a card catalog! I really don't think I need to say more! def an area rug! they have SO many!! I would get the KidKraft Pink Vintage Kitchen for my daughter for Christmas. I would love to get some outdoor decor. I especially like the birds and nest wall decor!